For those that want to stick to straightforward Sudokus with no frills attached. 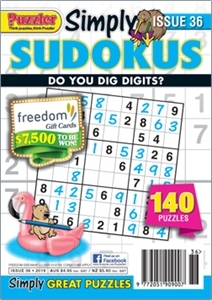 One-hundred Sudoku puzzles of varied levels of difficulty. Regular competition for cash or a great prize. All supplied at a simply great price.